DISCOVER THE TRUE ORIGIN OF VALIANT’S MOST UNRELENTING HERO! Before a weapon is deployed in battle, it must be designed, refined, field-tested. Bloodshot was no exception. In the early days of the private military contractor Project Rising Spirit, the nanite-infused super-soldier who would one day become their most violent and valuable asset was a resource to be mined - and it was up to one enterprising employee, the Memory Weaver, to ensure he did what he was told. 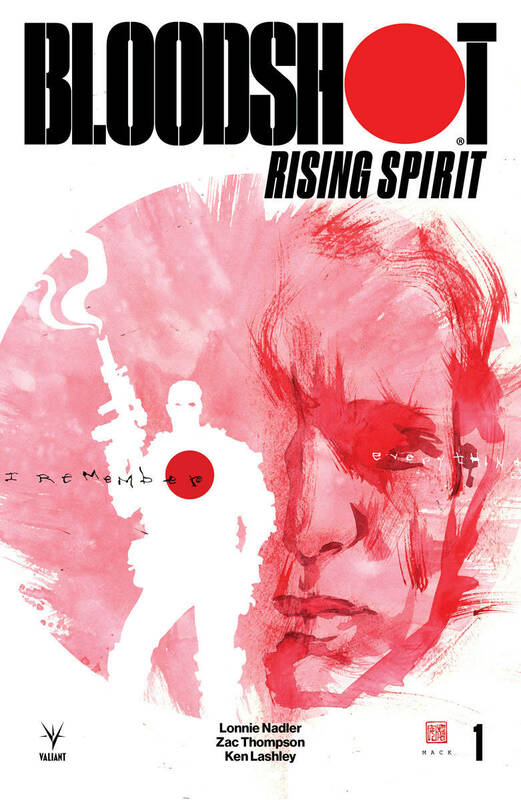 But memory is a tricky thing?and the man Bloodshot used to be won’t let go of his past so easily?